So many choices and so many questions. What should you do? Where do you start? And how do you avoid all the scams?! Then once you start, how do you manage it all? How do you focus? How do you plan? The Work-at-Home Survival Guide was designed to help you identify and avoid the common pitfalls of the work-at-home lifestyle -- and it IS a lifestyle!! -- the kind of pitfalls that usually hold people back from creating the life of their dreams. Is the thought of working from home both thrilling and terrifying? Read The Work-at-Home Survival Guide first! Hi! I'm Caitlin. I've been successfully working from home since 2011. I even spent a year traveling through South America from July 2015 to July 2016. For me, it all started with proofreading... and it grew from there. I now teach a highly recommended course to help others grow businesses just like the one I built for myself. I know not everyone's suited for proofreading, though -- and that's why I wanted to write this book. ​Everyone who wants to work from home should be able to make it happen. Pages upon pages of expert tips, tricks, and resources. Use these three tips to skip the guesswork and time-wasting schemes. Plus shortcuts on finding the best training to get started! Incredibly useful information and motivation from seasoned work-from-home professionals. Self-employment doesn't have to be scary! Use this section as a checklist for your business. If you build it, it CAN fall down! Learn how to keep it all safe. How to Stay Healthy When You Work 20 Feet from the Refrigerator : Yeah. We know how tempting the fridge can be!! Working from home doesn't have to derail your personal health or fitness -- in fact, it can enhance it! How to Focus When You Work an Arm’s Length from the Remote Control : Being distracted is probably one of the biggest reasons excuses people give for NOT working from home! How to Avoid Burnout as a New Freelancer : Especially if you're a parent, trying to do it all at full speed can backfire in a big way. Learn how to manage it all safely without pulling your hair out or losing steam early on. The ONE Rule You Should NEVER Break as a Freelancer : We're all guilty of breaking this at least once! A Step-by-Step Guide to Building a Work-at-Home Website : If you've ever thought building a website was too hard or complicated, then this thorough, step-by-step build-a-website tutorial is perfect for you! This is a HUGE, active online support group dedicated to helping people live and work on their terms using the work-at-home manifesto. Get actionable tips, ideas, support, and resources every ﻿week! 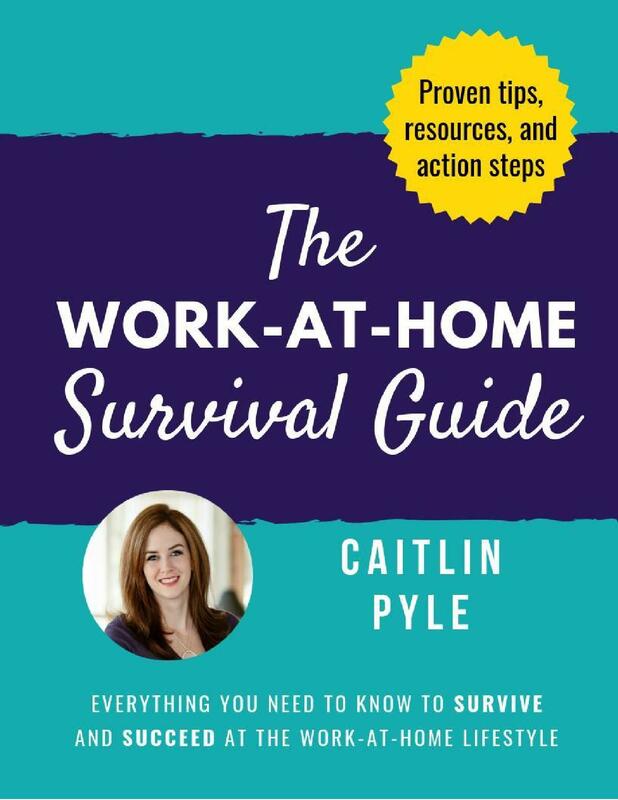 Download The Work-at-Home Survival Guide now! ALL for a crazy-low price! Get Expert Advice... at an Affordable Price! Build a life of freedom FASTER. Sure, you can probably find all the same information in 452,910 different places on the internet or in your friends' brains. But there's a huge, undeniable advantage to having all of this information in one place: It narrows your search and makes your decisions easier -- which means you reach your goals faster than someone spending tons of valuable time looking for "free" help. IT'S NOT FOR LAZY PEOPLE. This guide includes lots of action steps. The key word there is ACTION. If you're not willing to actually do anything with the steps, then The Work-at-Home Survival Guide is not for you. An Author With a Track Record You Can Trust. 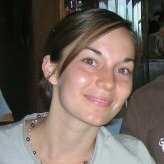 Caitlin has helped thousands of people in their work-from-home journeys through her blog and courses on ProofreadAnywhere.com. "The Work-at-Home Survival Guide is a must-read for anyone considering the WAH lifestyle. This one eBook covers every want-to-know topic from to how to dodge lame WAH scams to how to avoid burnout. Caitlin even dives into how to stay healthy in the mostly sedentary jobs associated with working from home -- something I've REALLY needed (THANK YOU, CAITLIN!). I can't recommend this book enough!" "I can't recommend this book enough!" Get the first 7 pages for FREE! The Work-at-Home Survival Guide is an essential resource for new freelancers. If you're searching for a work-at-home career, this book will help you avoid scams while introducing you to several viable options for self-employment, complete with interviews with freelancers across many industries. If you've already chosen a freelancing career, Caitlin will take you through everything from business-building strategies to staying fit and focused while working perilously close to your kitchen and your Netflix account. For me, the best part of this book is the step-by-step guide to building a cost-effective and professional-looking website -- it was the kick in the pants I needed to get mine up and running! "For me, the best part of this book is the step-by-step guide to building a cost-effective and professional-looking website." Check out Kristen's LinkedIn profile! You'll get immediate access to the book following payment. You can download it, print it*, and read it from anywhere on any device. and Living Your BEST LIFE. It's About MORE Than Survival! * - Creating this book was a lot of work! Please respect my copyright -- do not share it without permission. Even more freelancers who have read The Work-at-Home Survival Guide and succeeded in their virtual careers! is the no-nonsense, no-fluff, work-from-home book that should be in everyone's virtual bookshelf. Caitlin has done a phenomenal job of sifting through the scams and junk to bring you real, actionable information. It's not get-rich-quick stuff, either. You definitely have to do the work in order to succeed -- her down-to-earth honesty is a breath of fresh air! If you're thinking of ditching the 9-to-5 grind in favor of bringing the nebulous idea of the "side hustle" to the fore, The Work-at-Home Survival Guide is invaluable! To be successful, you've got to separate the wheat from the chaff, and that's exactly what Caitlin does with this eBook. © Copyright Proofread Anywhere. All Rights Reserved.